This is the 8th week in our Playing with Light 52 Week Blog Circle and our final week of backlight. I woke up early one morning at the cabin and was rewarded with this beautiful scene. I grabbed my camera and ran out to the dock to capture it. 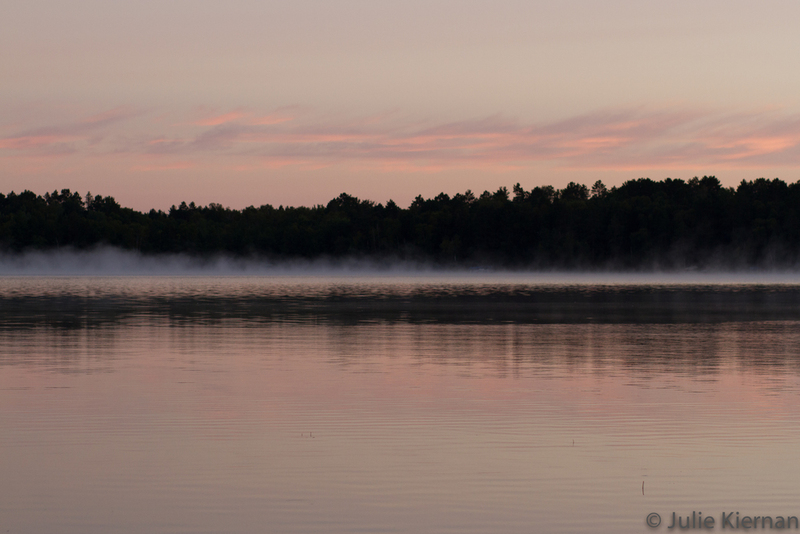 I loved the fog, sunrise in the clouds above and the lovely reflection on the lake. This image captures the colors I saw and the serenity in the moment. I am not naturally an early riser, so when I do see the sunrise, it is especially meaningful to me. I shot this image with the intention of really capturing what I saw. My second image is of Kelly this weekend with rim backlight on her hair. Please continue on our blog circle to see the amazing work of Justine Knight by clicking HERE. Justine always has such interesting images, often with patterns or textures woven into a modern, yet timeless image.